I'm more of a dog person than a cat person, but I couldn't pass up getting these cute kitties inked up and colored...their attitudes surely shine. 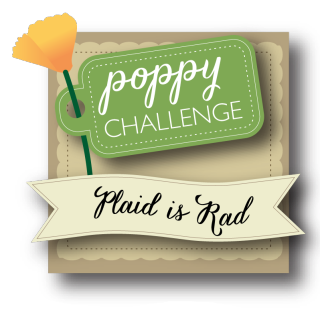 I was inspired to also pull out some plaid patterned paper for the Poppy Stamps #26 Challenge: Plaid is Rad. The cats from Cat Friends Stamp Set and removed them from their holiday setting. They were stamped and heat embossed, then watercolored. 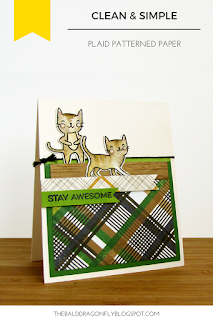 I fussy cut them and added them to a card base decorated with a few plaid patterns with a woodgrain thrown in. The sentiment is from MFT's Essential Sentiments Stamp Set. I hope you all had a wonderful Thanksgiving Holiday, spending time with your loved ones and eating a lot of amazing food! Butterfly Reflections Ink is having one amazing sale, stop by and check it out! Super cute card, Karen! Love those little kitties! Oh, how fabulous! Love the adorable poses of those cats. So cute! Love how you colored those kitties! They definitely have personality! And the plaid is super fun too!! 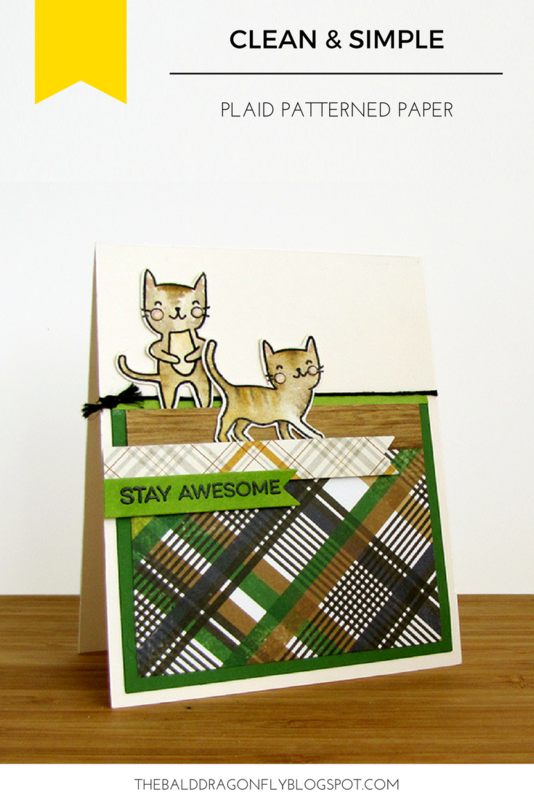 There's something about those cats that just makes me smile, especially strutting around on the plaid. Thanks for joining us at Poppystamps! How CUTE!!!!! 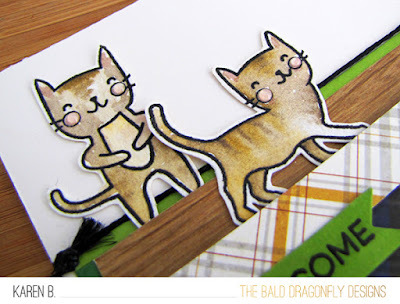 Love those kitties and how you colored them! Such cute kitties, and I love that plaid! Love they way you've colored the cats, super cute!! They really are pretty awesome little felines. Love how they're strutting their stuff! 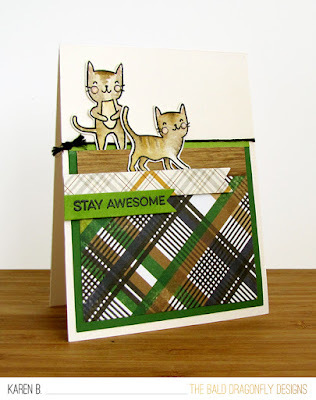 Wonderful card design Karen, love those cute cats! with the bold plaid paper. 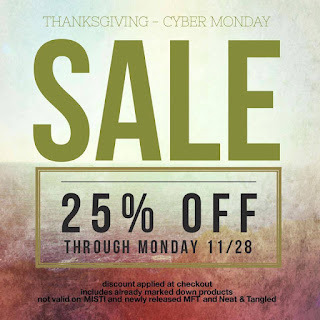 Thanks for joining us over at Poppystamps this month! Super cute! I love the plaid! Seriously I think your card is awesome.. and that close up of the kitties where I can see your amazing coloring is outstanding!